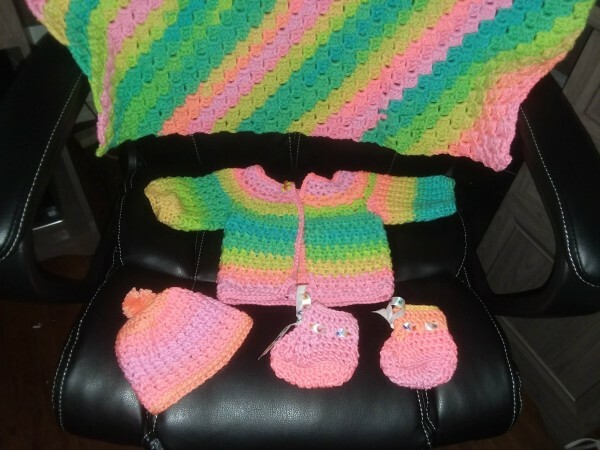 Who says baby sweaters and blankets have to be done in pastels? 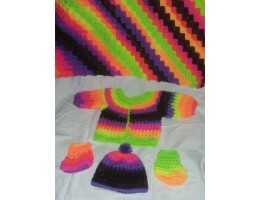 Babies love bright colors so here are some sets in bright colors to make baby smile! 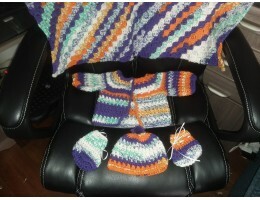 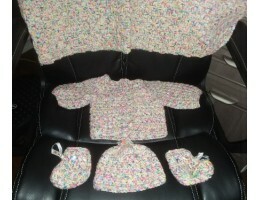 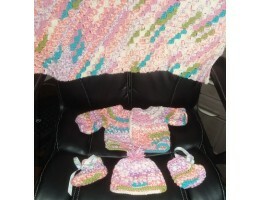 Each set includes a sweater, cap, booties, and blanket. The sweater, cap, and booties are designed to fit 3 month size, while the blanket measures approximately 30 inches square. 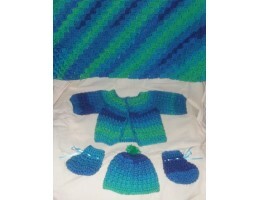 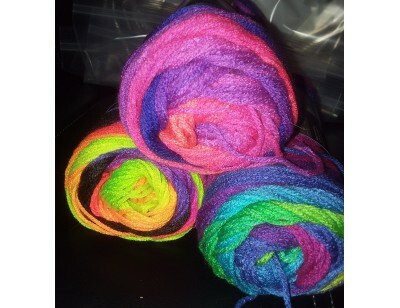 Each set is hand-crafted with 100% acrylic yarn so everything is machine-washable and dryable. This would be the perfect set for a new mother to bring her little one home from the hospital in.